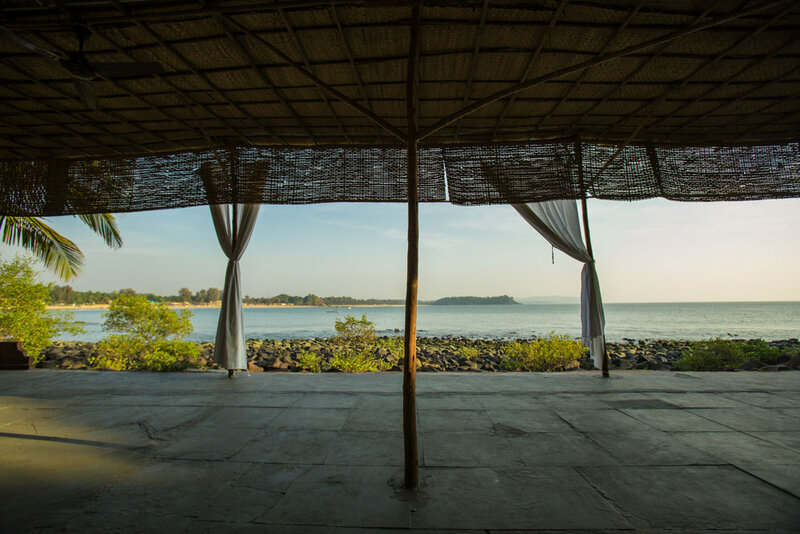 Situated on a pretty peninsula that frames one of the most beautiful beaches in Goa, Kala Bahia is the perfect destination for the best combination of laid back beach vibes and gorgeous soul-satisfying retreat. 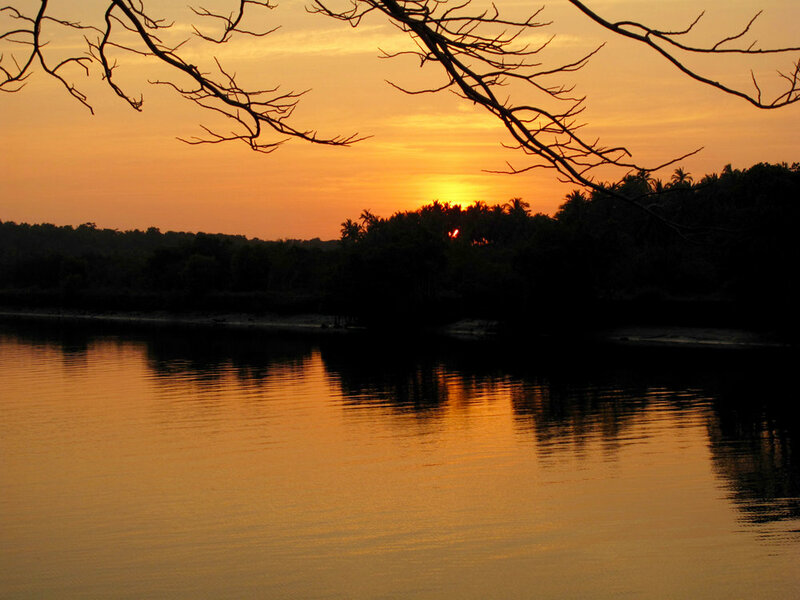 Patnem, South Goa is perfectly placed to give you a taste of India with its rich and varied heritage of arts, philosophy, religion and cuisine. 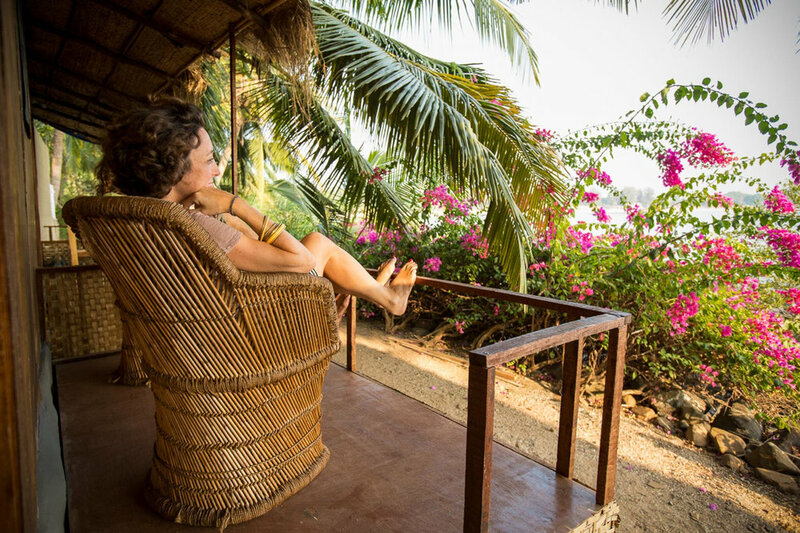 The wonderful traditions of the Indian subcontinent are vast and colourful and will have you coming back for more but this South Goa retreat is a perfect introduction. 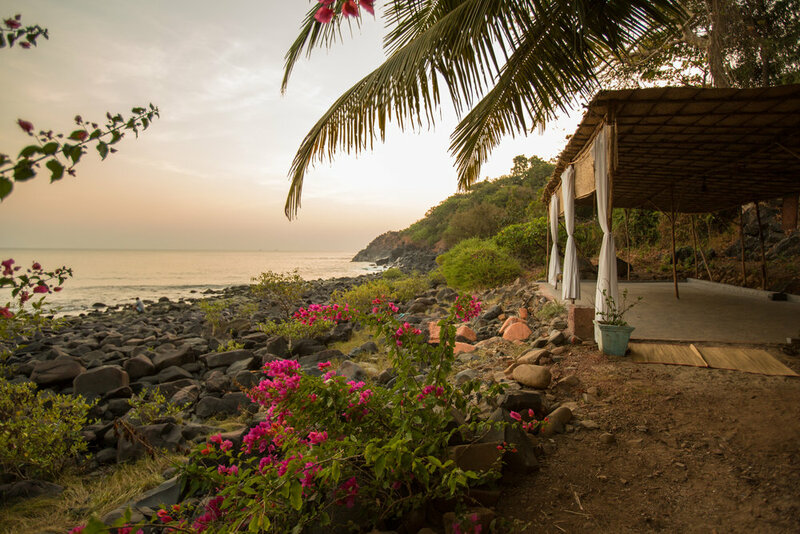 From Ayurvedic treatments to fabulous restaurants, from cool boutiques to waterfalls and rainforests, you couldn’t be better placed to experience the best of what Goa has to offer. The brilliant local staff know all there is to know and will help ensure that your visit is all that you wish for and more. Every room has a perfect sea view, with the gentle lapping of water never more than a few meters away. 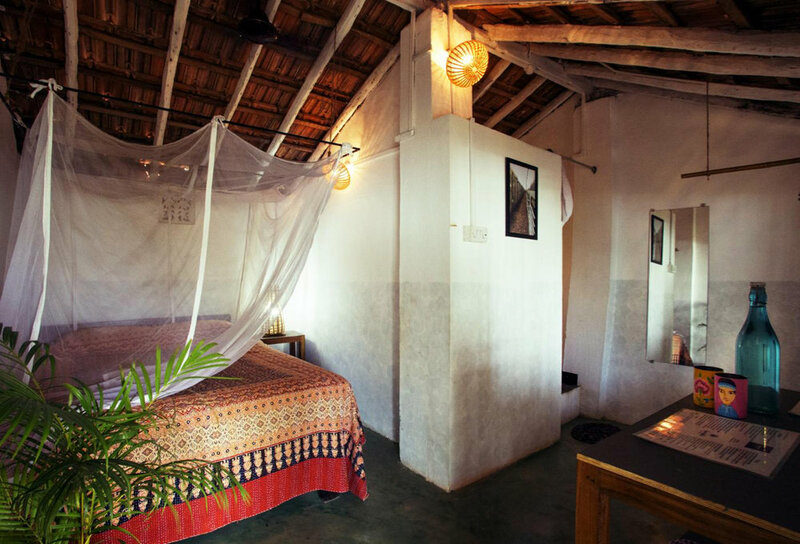 All rooms have ensuite private bathrooms, ceiling fans, and very comfy mattresses. Bathrooms are newly appointed with nice ceramics and instant solar powered hot water. And, to make the most of the wonderful view, each room enjoys a private veranda with table, chairs and a couch for lounging on. 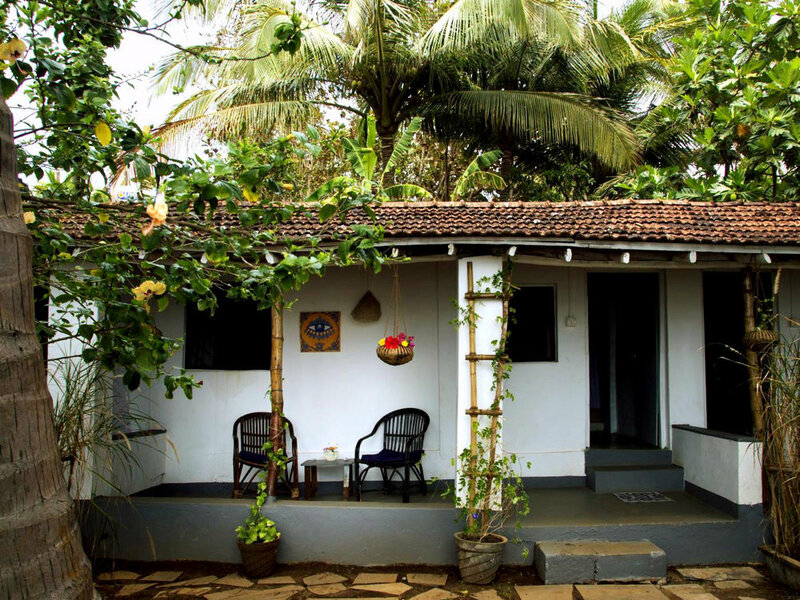 Chira cabins have been built in the traditional fisherman style using laterite stone (Chira in the local language), which is then rendered with mortar. There are 4 Chira cabins, Chira 1 is a double, Chira 2 is a large double, Chira 3 is a cabin with two double rooms and a shared bathroom. These 3 cabins are terraced. Chira 4 is also a large detached standalone double cabin with a small separate reception area. There are also 3 wooden cabins built under the shade of the teak and coconut trees which grow behind them. 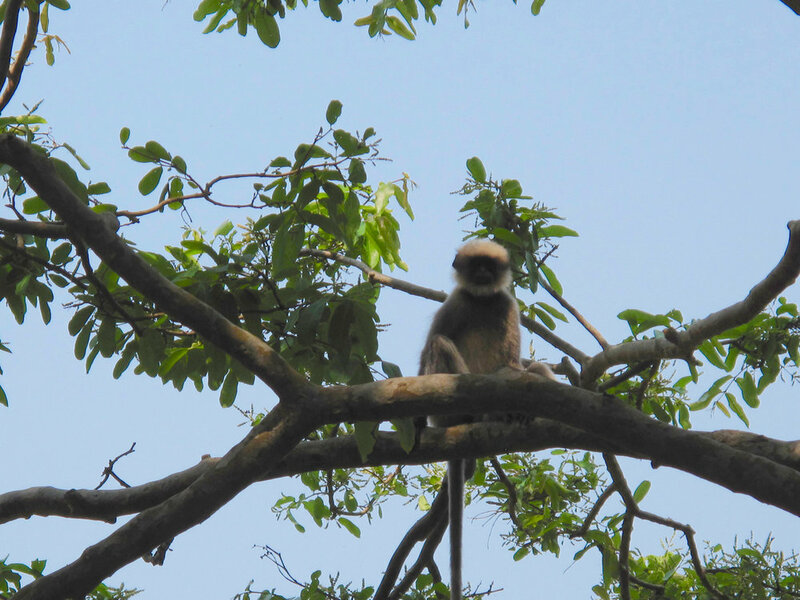 They are the most secluded of our rooms, sitting at the far end of the peninsula end from the entrance and the restaurant. The wooden cabins can be made up as twins or large doubles. The fabulous al fresco restaurant serves up delicious local and European dishes. Specially selected menus are prepared daily using fresh ingredients. Big healthy brunches of eggs or tofu made to order, fresh fruit, and homemade granola & muesli. Fresh juice, tea and coffee to re-hydrate after the practice Also fresh baked bread with a selection of jams, peanut butter or marmite. For dinner the dedicated chefs prepare a delicious 3 course meal. Expect superb salads, mezze plates, burrito bowls, arancini, thai curries, raw spring roles and cheesecake to die for! And, for those who fancy a sundowner cocktail, may we suggest the pineapple martini. Filtered water is freely available all day and there is a glass bottle in your room to refill. Copper water bottles are available to buy. 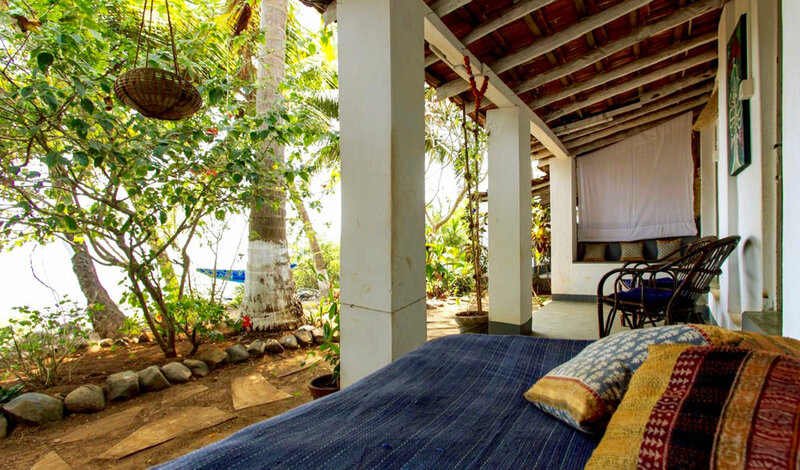 This retreat really is perfectly placed for you to experience the best of all that South Goa has to offer. 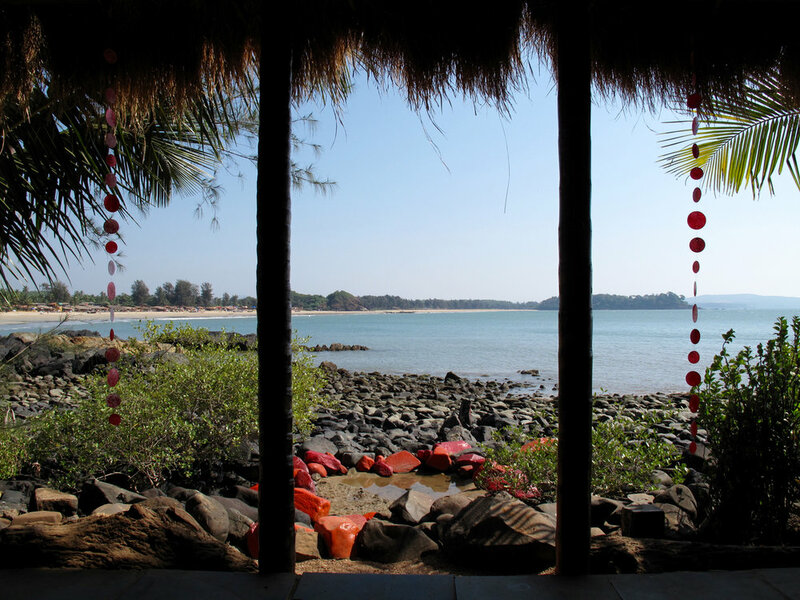 Whether you want to take a tuk-tuk to nearby Turtle beach (Galgibaga) where Olive Ridley turtles come to nest and Gordon Ramsey famously had one of the best seafood meals of his life in a local beach shack, or you’d rather walk through the sleepy village of Colomb and follow the coast to nearby Palolem for a taste of Goan nightlife, the choice is yours. A gorgeous trip for nature-lovers, and one that we recommend as a mid-week excursion, is a visit to Tanshikar organic spice farm. Just an hours drive from the retreat you find yourself immersed in primary rainforest and the glorious biodiversity of The Western Ghats. The nearest international airport is Goa Dabolim airport. Charter airlines fly directly from the UK and other European countries. Scheduled International airlines fly via Mumbai, Delhi, Bangalore or Doha. The journey from the airport to the retreat is approximately one and a half hours drive. We can arrange a transfer at a cost of approximate £20-£25. The nearest train station to the retreat is Canacona. If travelling by train from Mumbai or elsewhere in India to South Goa you will need to head for Madgaon (also called Margao). From here you can take a train down to Canacona.